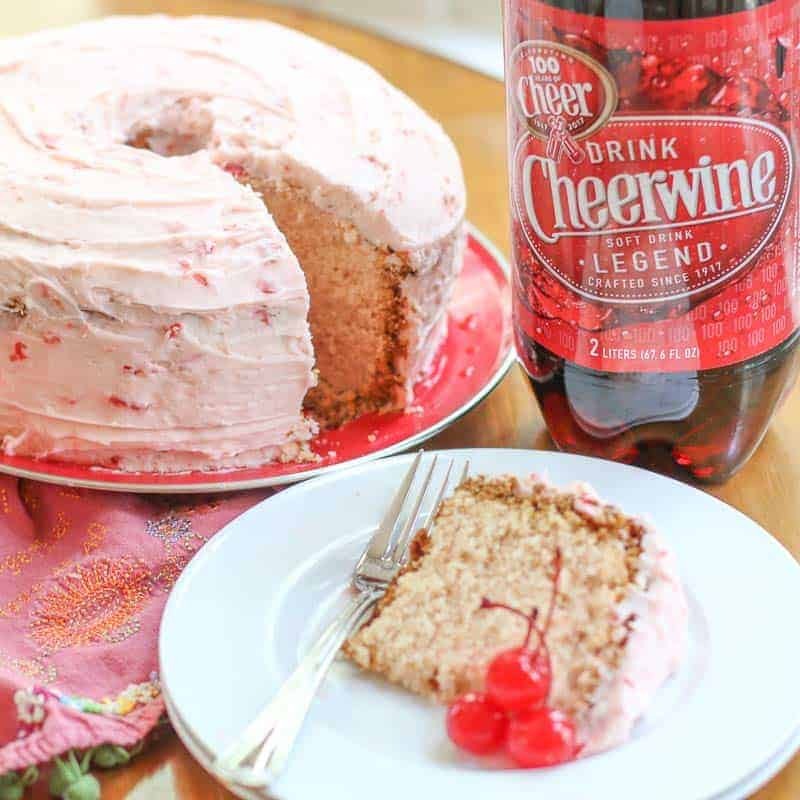 Cheerwine Cake is a popular prized cake of the South. This Southern Bundt Cheerwine Cake Recipe is incredible. This moist, dense cake forms a thick, sugary, crunchy crust. It is frosted with the most amazing white chocolate cherry frosting. 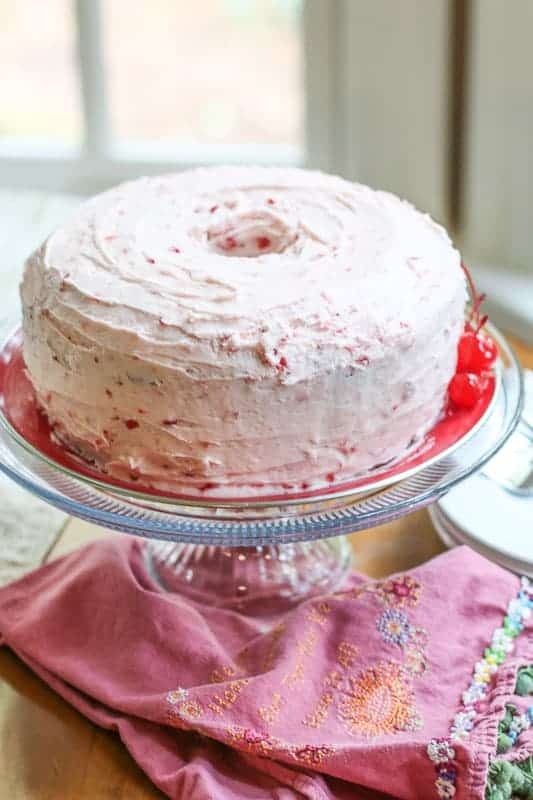 Once you have a slice of this delicious Cheerwine Cake, it will become your new favorite dessert! If you are not from the South, you might not have heard of Cheerwine. Cheerwine is a beloved Southern soda that is actually produced here in North Carolina. It has a deep Burgundy color like “wine” and offers mild sweet notes of cherries; hence it is called Cheerwine. There is no actual alcohol in this soda. 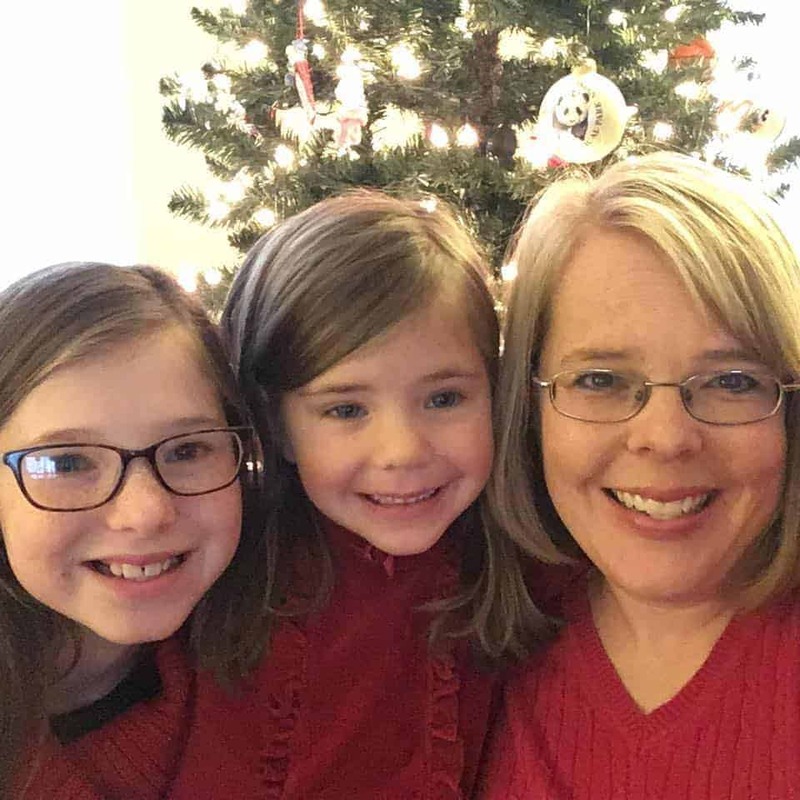 Jennifer Stimpson and her daughters, Callie and Gracie. I can’t keep my hands out of that cake. My hands have a mind of their own and come back for more and more slices. That Cheerwine Cake literally will disappear in seconds in our gatherings because everyone in our family wants to eat it. The Cheerwine Cake is amazing by itself. But in our family, we love frosting. 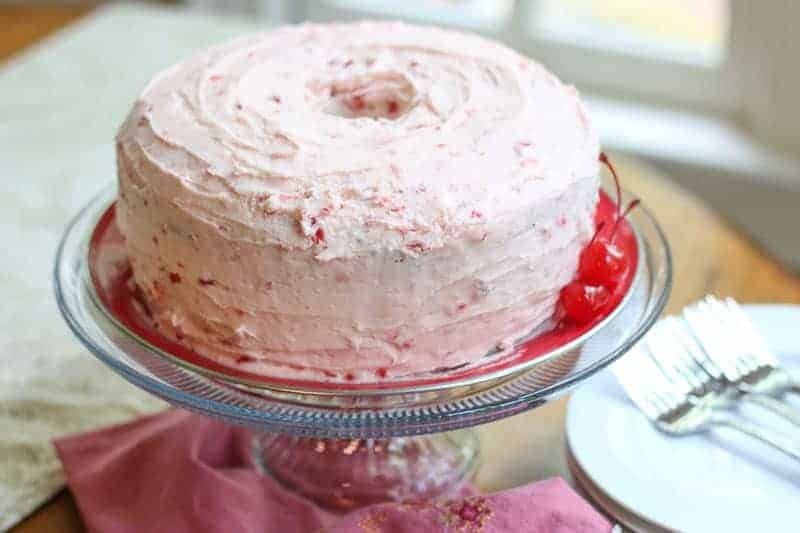 This white chocolate cherry frosting will rock your world. You can reuse the frosting on other cakes. It is really fantastic. My Cheerwine Cakes have never turned out quite as good as Jennifer’s. I think she sprinkles a bit of magic fairy dust on hers. If you can’t get Cheerwine, you could substitute Cherry Coke. It won’t be the same, but it will be close. For more family recipes, check out: Granny Moore’s Dressing, Candy Bar Cream Cheese Fruit Dip, and Cheddar Pecan Cheese Ring. 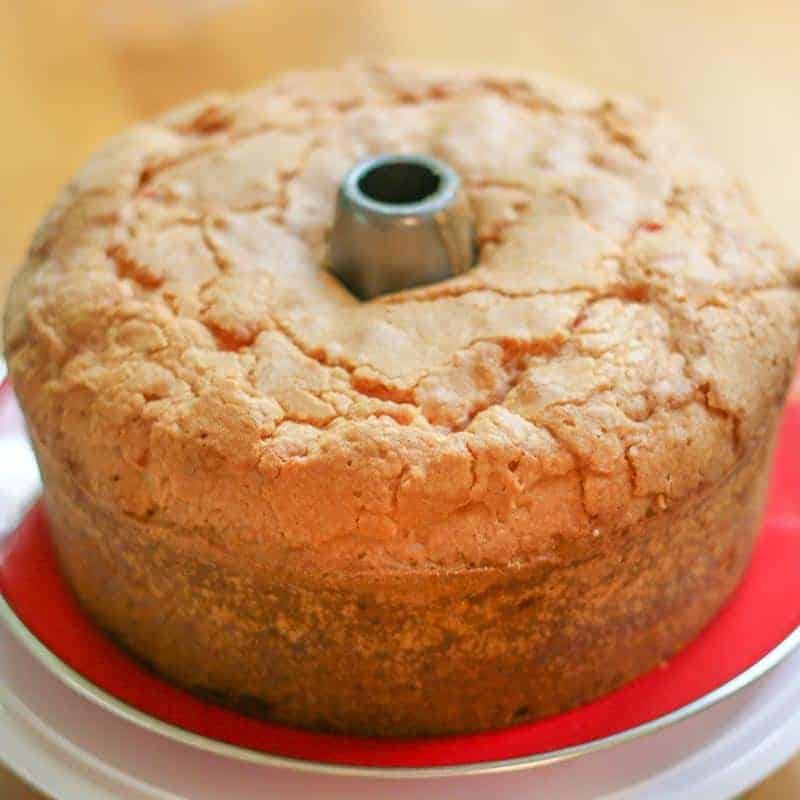 This Southern Bundt Cheerwine Cake Recipe is incredible. 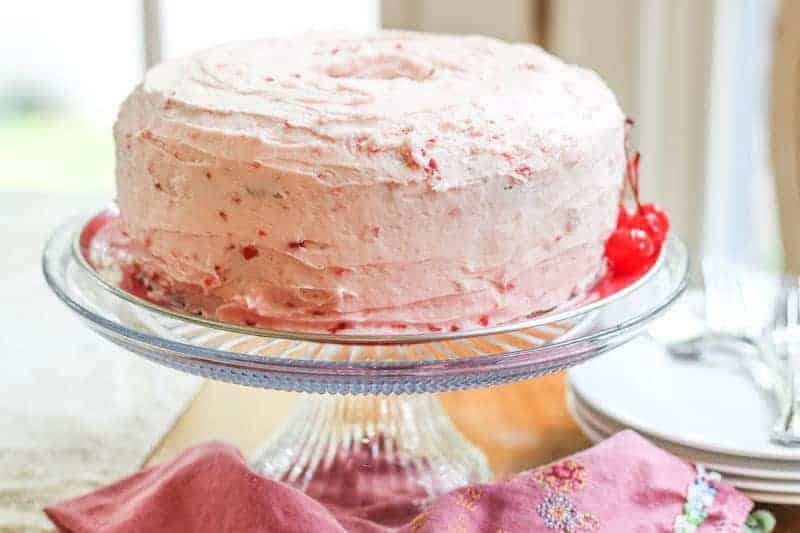 This moist, dense cake forms a thick, sugary, crunchy crust with a white chocolate cherry frosting. Beat the butter, shortening, and sugar in a large bowl until light and fluffy. Add eggs in one at a time, beating with each addition. Mix salt, baking powder, and flour. Add flour mixture to the butter mixture in thirds, alternating with half of the Cheerwine. Beat only until the batter is smooth after each addition. Quickly beat in 2 tsp almond extract and 1/2 jar of crushed maraschino cherries. Pour into greased pan. Bake 1 hour and 15-30 minutes. Cool cake on wire rack. Meanwhile, make frosting. Mix powder sugar, white chocolate, butter, cream cheese, 1/2 jar of maraschino crushed cherries, and 1 tsp almond extract until smooth. Once cake has completely cooled, frost cake.